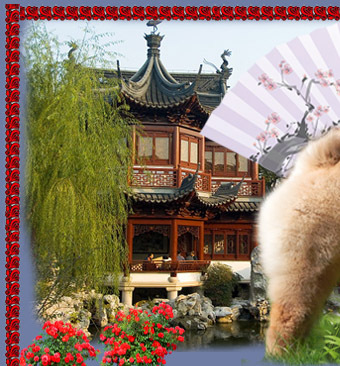 The Chow Chow is more than 2,000 years old as a breed and many authorities believe it may date back much farther. The breed probably originated, as one popular theory states, as a result of crossing the old Mastiff of Tibet and the Samoyed, a breed originating from the northern parts of Siberia. Refutation of this theory lies in the fact that the Chow possesses a blue-black tongue, leading some to maintain that the Chow is the basic breed behind the ancestors of the Samoyed, the Norwegian Elkhound, the Keeshond and the Pomeranian. 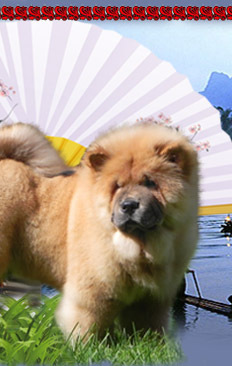 Undoubtedly the Chow Chow is of far northern origin, but he has always been found in greatest number in the south of China, particularly in the district centering about Canton, where he is considered indigenous. The name "Chow Chow" has little basis for its origin in China; it is believed that expression evolved from the pidgin-English term for articles brought from any part of the Oriental Empire during the latter part of the 18th century. It meant knick-knacks or bric-a-brac, including curios such as porcelain and ivory figurines, and finally what is described today as "mixed pickles", whether of the edible variety or not. 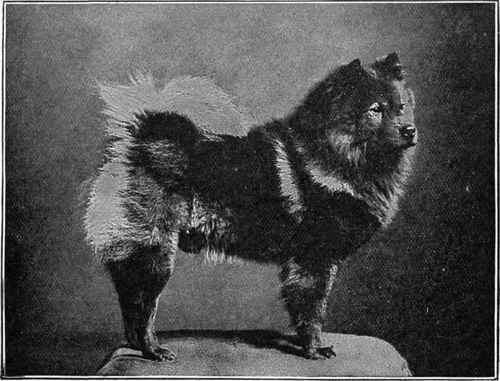 (It is an unfortunate fact of the Chow's history that the breed was often used as food in China, with the coat of the long-haired variety sometimes being used as clothing.) It was far easier for the master of a sailing vessel to write "chow chow" than it was to describe all the various items of his cargo. So, in time, the expression came to include the dog. 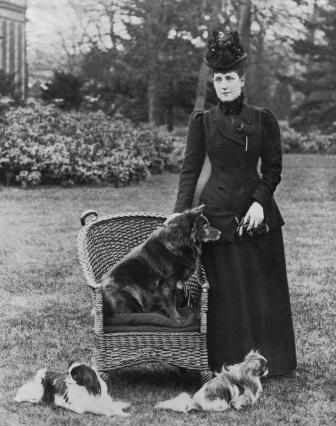 The importation of Chows into England began about 1880 and the breed started toward its present popularity after Queen Victoria took an interest in this "Wild Dog of China," as it was called when on display in the London Zoo. The first specialty club was formed in England in 1895. �A Typical Red Chow-Chow, Chow VIII.